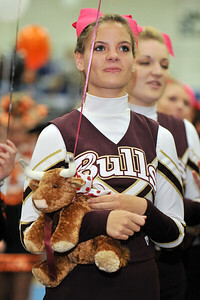 All images were taken at two Bay Rivers District cheer leading competitions. One competition was held at Smithfield HS in Smithfield, Virginia on October 1, 2011. The other was held at Lafaytette HS in Williamsburg, Virginia on October 22, 2011.